Posted on December 21, 2009 December 21, 2009 by catsynth	This entry was posted in Highways and tagged beltway, dc, fun with highways, Highways, I-395, I-495, I-95, virginia, washington. Bookmark the permalink. 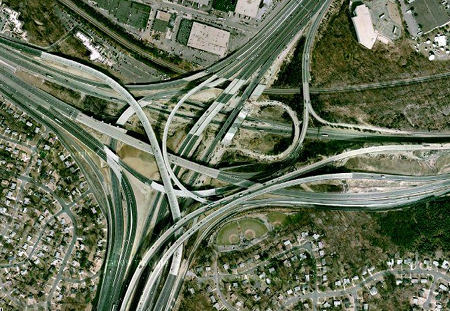 The mixing bowl in particular, and the DC Beltway in general, is the land of neverending construction. Who knows what they’re building, but it never stops! And there is always traffic, even in the middle of the night! Wishing you and Luna a Merry Christmas filled with nip and other goodies!